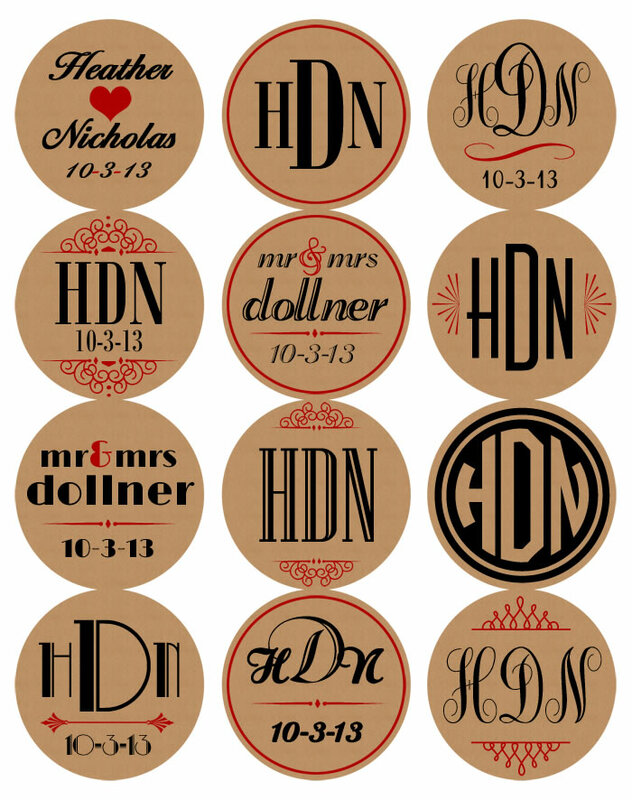 We are so excited to finally debut these labels! 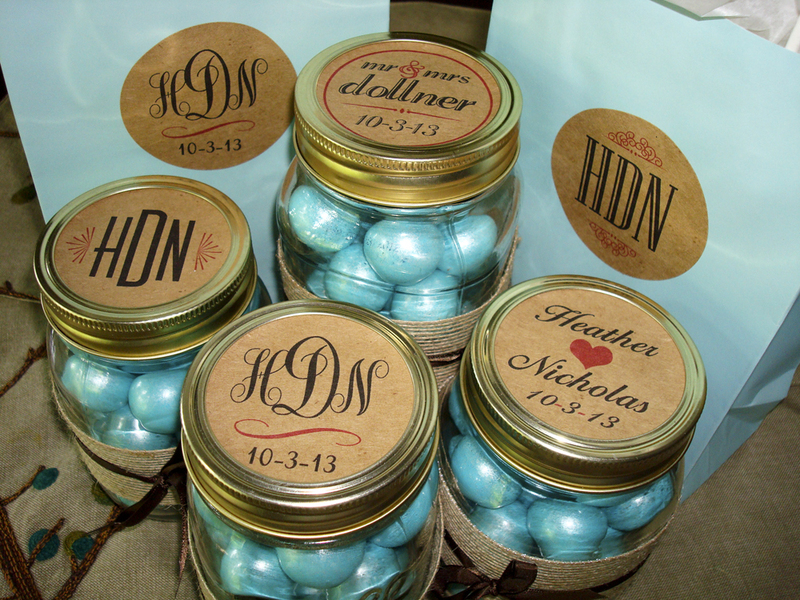 Perfect for your rustic wedding or shower favors, these custom monogrammed stickers add a touch of personalization to your mason jars, candy bar bags or wedding welcome bags, and can even be used as envelope seals….so many possibilities! If you’d like some, be sure to skip over to theinklab. *We can absolutely still process these on my maternity leave. Current shipping time is within 3 business days of proof approval. (though it might be slightly delayed if I go into labor) so place your orders now!